Here's how you can help them. Orangutans — some of the most social, intelligent and emotional creatures on the planet — are in danger, but some people are trying to save them from becoming extinct. 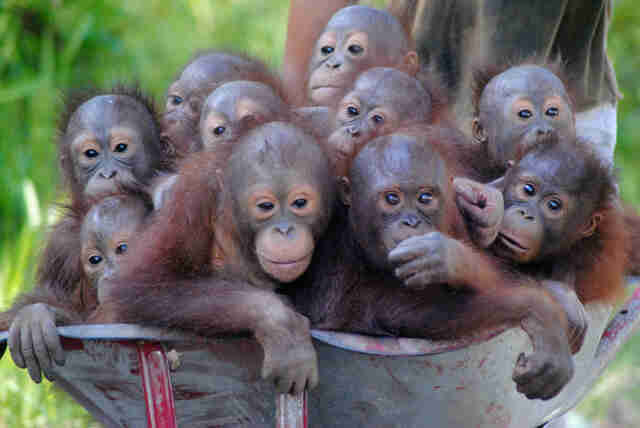 Because the Indonesian jungle is being razed for logging and palm oil, an ingredient found in many snacks, orangutan populations have plummeted. As the palm oil industry expands, orangutans are coming into more frequent contact with people who see them as a nuisance. 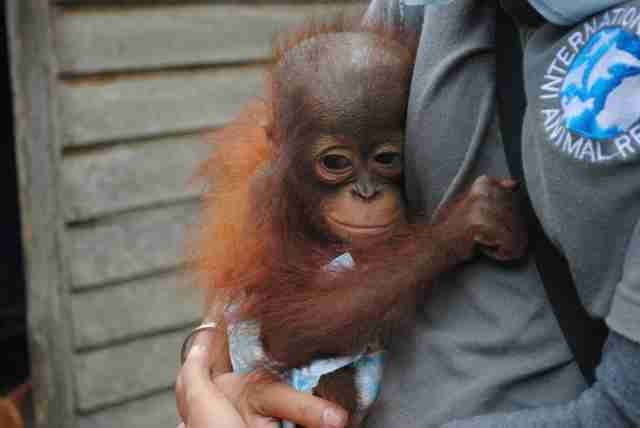 Some locals even capture baby orangutans and take them into their homes to keep them as pets. Other orangutans have difficulty finding food after the forests are cut down, and end up starving. 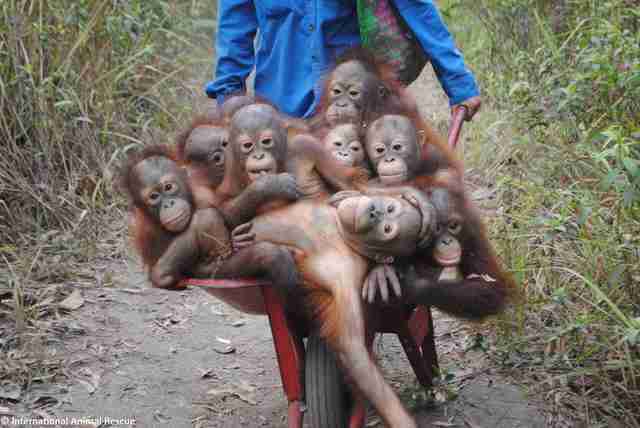 Orangutans are now classified as critically endangered by the International Union for Conservation of Nature (IUCN). 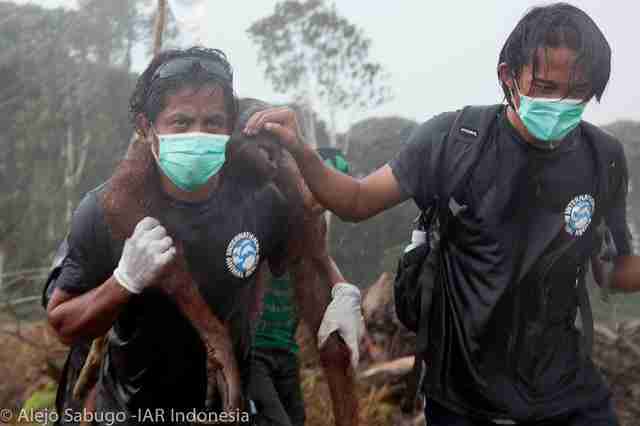 But amid these bleak prospects, a handful of people are trying to ensure a future for the species, like the rescuers at International Animal Rescue (IAR). 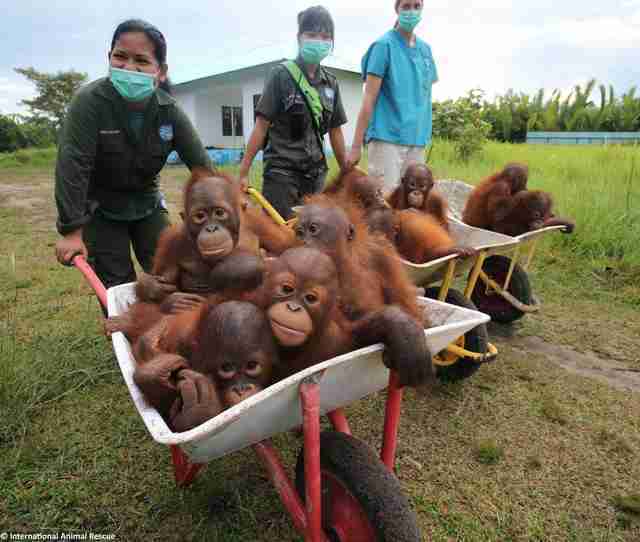 These people run a rescue and rehabilitation center for orphaned baby orangutans in Borneo, helping them to grow up strong and eventually return to the wild. But because of the palm oil industry, wild habitat is harder and harder to find. It’s estimated that 2.5 million acres of Indonesian rainforest are lost every year. 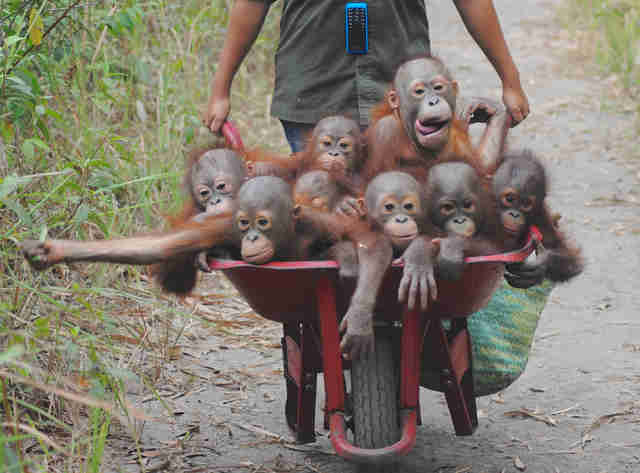 That’s why IAR is launching an initiative to buy more land for the rescue center, helping to preserve precious orangutan habitat so that the babies have trees to climb as they grow. 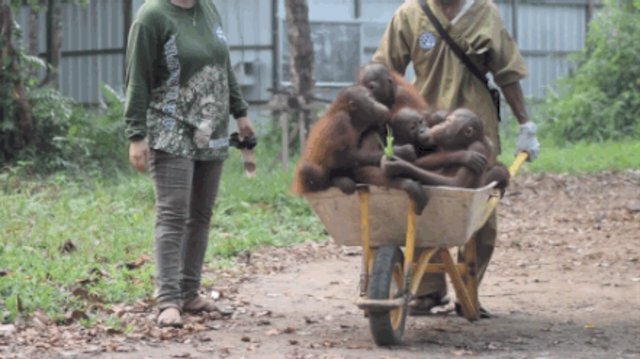 The baby orangutans rescued by the center get the priceless experience of bonding with other orphans who have lost their families. 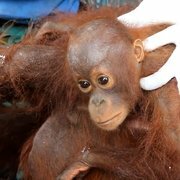 And it’s expected that more and more orphans will be coming through the rescue center, since the palm oil industry doesn’t appear to be slowing down. IAR has raised just over $80,000, but it needs a total of $260,000 to purchase the 64 acres, which would allow IAR to rescue even more orangutans in the months and years ahead. 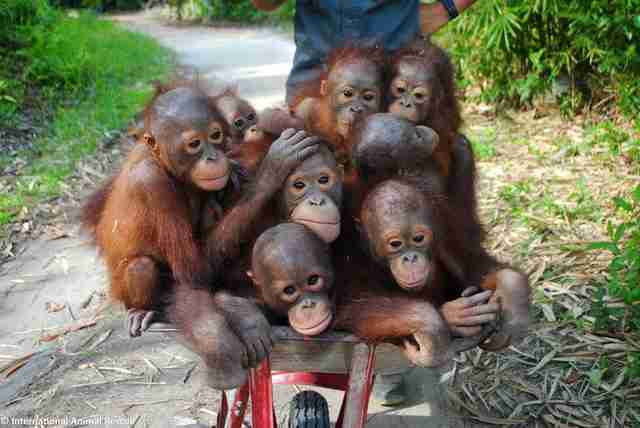 This would give the orphans the best possible chance of returning to the wild, Knight said. “By securing this precious piece of land we can protect it forever from the chainsaws and bulldozers that are destroying so much of the forest surrounding our center,” Knight said. You can help IAR buy this forest by making a donation to the Forest Fund. You can also share this article to raise awareness about the dangers of palm oil, and help orangutans by avoiding products with palm oil in them.